DogLoverstore is back with another new product line as promised! 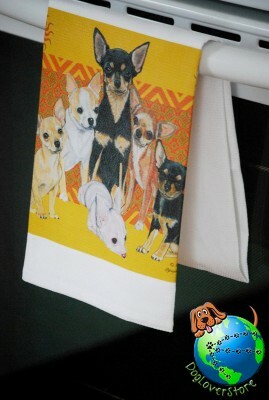 We are introducing our made in the USA dog kitchen towels. Each towel is made with absorbent cotton to clean up the worst spills! Each towel is 18 x 31 inches and the images are 8.5 x 11 inches. 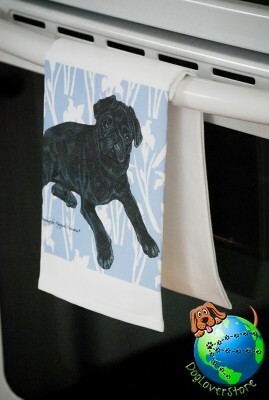 Use these as hand towels when cleaning your hands, or as a dish towel to dry your dishes! No matter how you decide to use them, we are sure you will be happy with your purchase. No dog lover should be without one of these. If you know a dog lover these make a great gift as well. 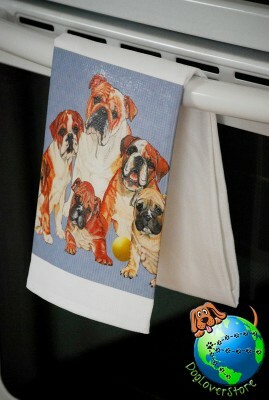 To view all of our breeds currently available visit the following link: Dog Kitchen Towels. 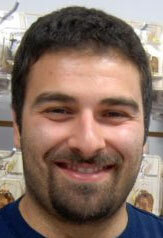 To view a few samples view/click the links and images below. If you don’t see your breed available, drop us an email at our contact form or give us a call and let us know what breed you are looking for.